At my local library ( where I get 90% of the books I review) I know where a handful of authors books are and Harriet Ziefert is one author I never forget to check when I am looking for new books. Her books are well written, sensitive to a child’s perspective and I feel good recommending her as an author not to miss to parents. Here are just a few of her many books for you to check out. Beach Party! reminds me of “Head to Toe” by Eric Carle , and that comparison is a compliment. 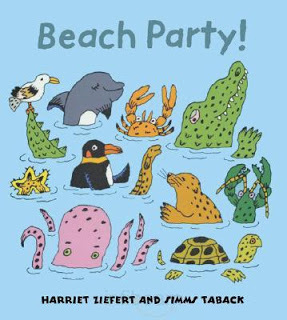 This large board book is a fun and cute way to introduce toddlers to movement as well as animals you find or want to avoid at the beach. The reader is asked how they want to walk today then they see how each animal moves. 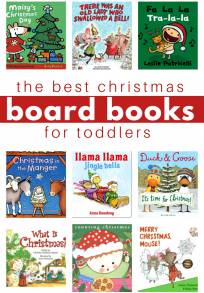 This would be a fun read for a circle time where kids could get up and move! 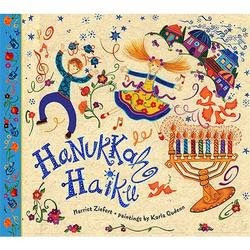 Hanukkah Haiku is a bright and cheery look at the traditions surrounding the holiday within the parameters of a haiku on every page. The illustrations by Karla Gudeon are so detailed I spent ages just looking at all of it. Each page is a haiku that goes along with a night of Hanukkah and it also explains briefly some of the other traditions like playing driedel , eating latkes and chocolate gold coins! 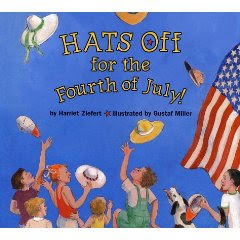 Hats off for the Fourth of July is a fantastic book for children who are just understanding what this holiday is all about. The book follows a parade with hints of what is next to come along, making the reader feel the same feelings real parade goer does as they stand on their tipy toes to see what is on it”™s way. My son really enjoyed the book because it was packed with marching bands, motorcycles and more. My son will see his very first 4th of July parade tomorrow and this book helped me explain what he”™ll see and when we get home it will help us discuss what we saw. Useful and entertaining. One Red Apple is stunning. I really enjoy this author but most of my praise for this book lands squarely on the illustrator Karla Gudeon”™s shoulders. WOW. I just adore the look, and creativity of this book. 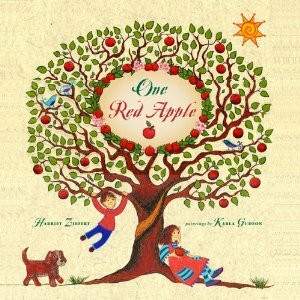 The story follows the cycle of one apple from orchard, to market back to seed, tree and back into the hands of a child. I enjoy books like this that simply explain the cycles of the natural world to young kids , but you can”™t miss this one. As I turned each page I gasped, it”™s one of those books you just need to sit and look at because eqach time you do you find some little detail you missed before. 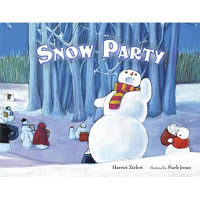 Snow Party is a magical book that celebrates the biggest holiday for snow people, the winter solstice. I wish I had had access to this book when I was teaching because it”™s a perfect way to read a story about celebrations without focusing on one tradition, or leaving out another. The illustrations are beautiful and the idea of snow people eating and dancing in the middle of the night is delicious! Next Post: Sunday Best – Link and Share! don’t you love finding new authors? 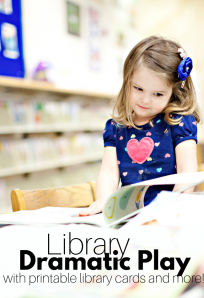 I found her Buzzy series of books at the library when my son was about 3 and they were PERFECT. He still enjoys them at 4-1/2 now that he can read them himself. I looked her up on Amazon, and I didn’t realize she did early readers. I need to look for her in that section of the library too. I know I didn’t know that until I linked one of her books to amazon a few months ago. I will be searching in that section soon too!